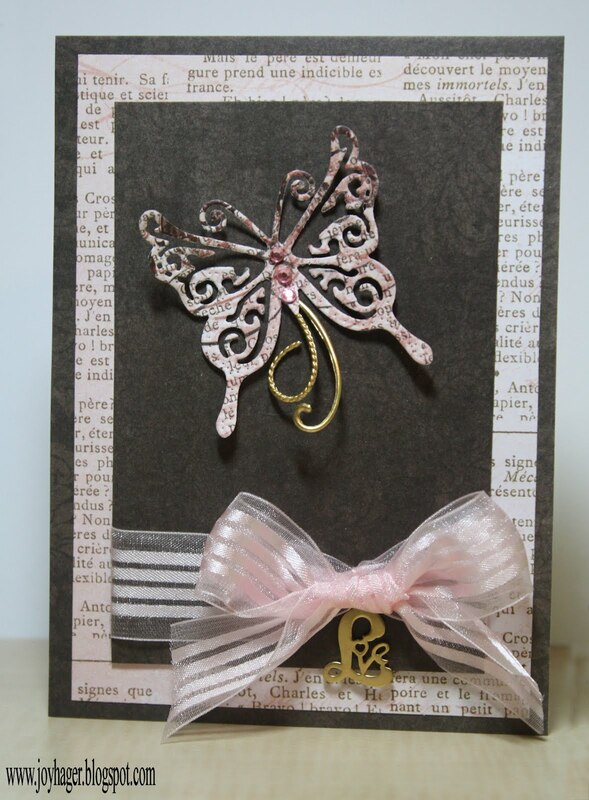 For Cheery Lynn Designs Challenge 19 - Add a Flourish http://cheerylynndesigns.blogspot.com/2012/03/cheery-lynn-designs-challenge-19-add.html I added a charm for my flourish to their Exotic Butterflies Small #2 die. Paper is My Mind's eye lost and found. Love charm and flourish are from acharmingplace.com. Thanks for stopping by! How lovely. That butterfly is gorgeous. Thanks for joining in the fun at Cheery Lynn Designs.